A newcomer to the deep restaurant tradition in New Orleans, Nina Compton’s restaurant Compere Lapin has quickly made its mark. Winner of the 2013-2014 season of the popular cooking show “Top Chef”, Compton fell in love with the host city and along with her husband, opened the restaurant as an homage to her Caribbean home of St. Lucia. Taken from the Creole version of Brere Rabbit, Compere Lapin has become a hit with the residents of New Orleans, as well as the James Beard Foundation, as she was recently named Best Chef: South, placing her among the elite of the city’s chefs. 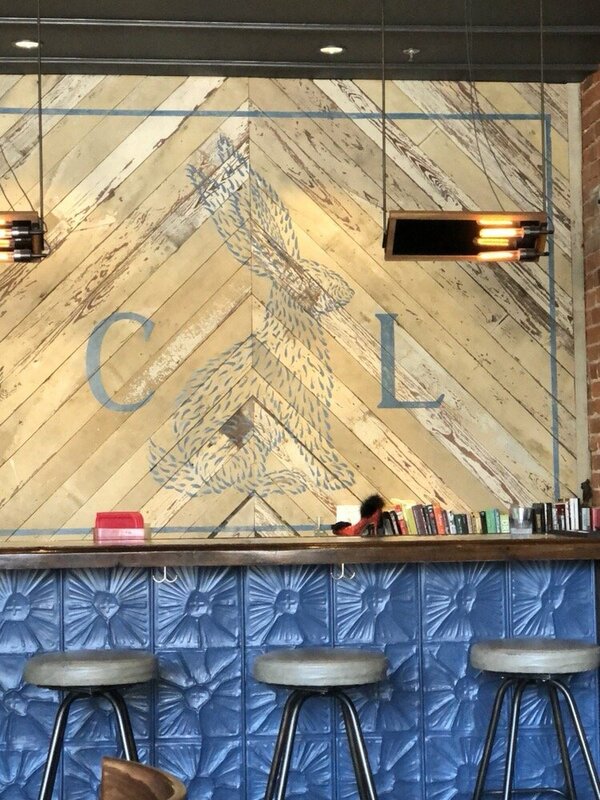 Located in the Old 77 Hotel and Chandlery in the heart of the Warehouse District, Compton has opted for all dark wood and an exposed brick interior, creating an urban casual style that reflects the style of the neighborhood as a whole. Inside, there is a short raw bar, a longer main bar, and a coffee shop which serves those in the lobby and restaurant alike and is a great option for solo diners. Scattered among the room are rabbit (French lapin) figures, which add to the overall character of the restaurant. Meals here start with a basket of warm biscuits, packed with chives and served with two types of butter, honey and bacon. Compton’s cooking covers the Latin-Caribbean diaspora, with conch croquettes, a deliciously tender half chicken, and her "piece de resistance" the curried goat strew. Also featured are broiled shrimp swimming in a deeply satisfying Calabrian chile butter, and brussels sprouts, roasted to a pleasing char and served in a buttermilk sauce studded with crisp chicken skin. Pastry chef Danny Alas serves such desserts as lime cheesecake topped with ice cream, and a take on a beignet, consisting of roasted banana zeppole enriched with fresh fruit and Nutella. In a city known for its culinary diversity as well as its history, Compere Lapin and its chef have become an instant hit. Compton’s Caribbean heritage is very analogous to the city she now calls home, and her restaurant has become a home to some of the most imaginative yet tasteful food in New Orleans.